What Ministry Would I enjoy? Do you know that we celebrate our God given gifts and talents by sharing them with the Body of Christ? 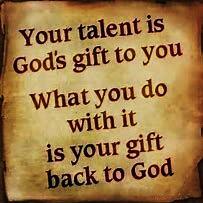 The gifts and talents entrusted to us by God are meant to be shared. This sharing of our gifts benefits ourselves and others while honoring God. Please consider using your gifts and talents to become part of a ministry here at Annunciation of the Lord Parish and Saint Ann Catholic School. To sign up or request more information, you can follow the link below to our registration form and use page two to sign up. Simply fill out the basic information on page two, select the ministries you would like more information on and turn it into the church office, call us at 256-353-2667 x 148 or email it to talent@annunlord.com.